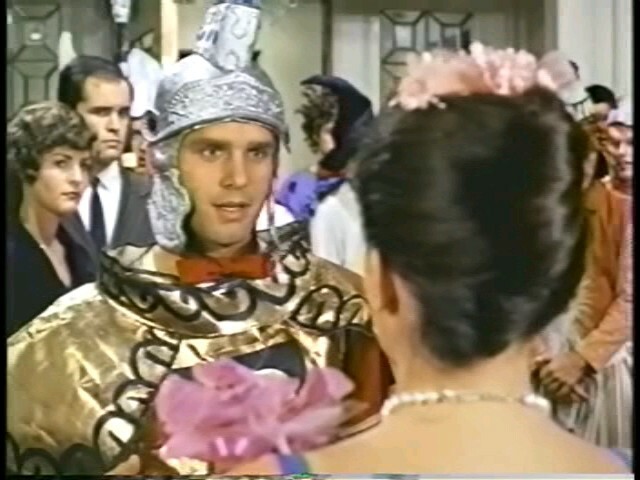 In the 1950s, an idealistic pledge (Gregory Harrison) and his pledgemaster (Peter Fox) clash with a bullying brother (Scott Newman) over hazing practices at their fraternity. This remarkably assured feature debut by director Thomas Tobin and screenwriter Charles Gray Allison (who completed the film as his thesis project at USC) is based on a true story of accidental death-by-hazing. Given this background knowledge, one expects the story to focus on the negative aspects of fraternity life; indeed, when we hear Newman (Paul’s son) sneer early on, “Never forget that you are pledges, because a pledge is a low-life — scum, dirt, filth, diseased meat!” we cringe to think of what’s to come. Instead, the bulk of the story turns out to be relatively tame, only touching briefly on the vices and pitfalls of fraternity life (which in themselves come across as remarkably innocuous). Although the screenplay could be a bit tighter, and the elegiac narration by Cliff Robertson seems unnecessary, it’s hard to find fault with this competent film, a refreshing counterpart to raunchy college-exploitation flicks such as Animal House. No, but it’s recommended if you can find a copy. Listed as a Sleeper in the back of Peary’s book. I see this as a kind of horror story about how subsequent conformity is shaped by college life. At the same time, I find it overly contemplative; rather ponderous – though, also, in many ways, “assured”. It seems to have very much taken its cue from F. Scott Fitzgerald – whose ghost hovers. Near the end, a paramedic walks into a tragedy and states, “Is this what you rich kids do? …Pigs.” That’s the film in a nutshell; a meditation on the privileged. Yes, the narration is unnecessary. Yes, it all seems a bit pompous (much like its subject matter) and is ultimately a bit too earnest in delivery. It’s not a waste of time and has particularly interesting aspects to it. But it’s somewhere between a B and a B+. cf: Lindsay Anderson’s ‘If….’; Pakula’s ‘The Sterile Cuckoo’.